KYIV. 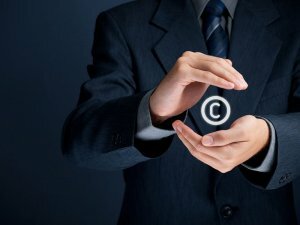 Oct 9 (Interfax-Ukraine) – The World Intellectual Property Organization (WIPO) has provided the Ukrainian State Service of Intellectual Property with the right to perform functions on intellectual property at the international level. According to a report by the State Service of Intellectual Property, posted on its official website, the WIPO made the decision on October 6 at a meeting of the Assembly of the International Patent Cooperation Union in Geneva (Switzerland), at which amendments to the agreement between the WIPO and the Ukrainian State Service of Intellectual Property were unanimously supported. These amendments will enable the state service and Ukrpatent to soon begin implementing the functions of the International Searching Authority and the International Preliminary Examining Authority. KYIV. Oct 9 (Interfax-Ukraine) – Public joint-stock company Kharkiv Tractor Plant has signed a contract to supply up to 1,000 engines to Volvo, Plant Director General Vladyslav Hubin said at a press conference on Thursday. “The contract was signed in February – this was shipment of test engines. The contract for batch supplies was signed in late September,” he said. Hubin said that Kharkiv Tractor Plant signed the contract with Volvo, as on February 12, 2015, a moratorium on exports of goods from Russia to Ukraine was introduced by the Russian government, and the Kharkiv plant lost its chance to buy engines from Avtodiesel Yaroslavl Motor Plant and has not been able to ship the engines since summer 2015. Hubin said that these are Volvo engines with 240-250 hp. The contract would enable the installation of engines on half of the tractors made by the plant, while the second half of the tractors which are to be sold to Russia are equipped with YaMP engines made in Belgorod. Volvo engine costs 50% more than YaMP engines. 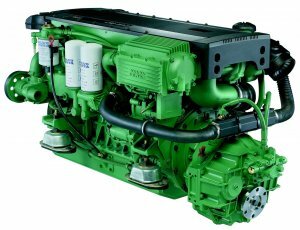 The installation of the new engine would make the cost of a tractor UAH 80,000 more and with the price of UAH 1.2-1.4 million it is not important. Hubin said that the top-priority markets for the plant are Asia and Africa. ASTANA. Oct 9 (Interfax-Kazakhstan) – Ukraine plans to establish cooperation with Kazakhstan on aircraft engineering, an adviser to the Economic Development and Trade Minister of Ukraine, Oleh Yakovenko, has said. “I am talking about setting up a center for Antonov aircraft maintenance on the basis of the aircraft technical services center in Astana, and, of course, there are strategic opportunities for the deliveries of the finished airplanes, such as the An-148, An-158 and the new An-178 aircraft, which is being developed in Ukraine and which was shown at the Le Bourget air show,” Yakovenko said during the Kazakh-Ukrainian business forum in Astana on Friday. He added that there is also a possibility of Ukrainian aircraft being assembled in Kazakhstan. “The negotiations on the establishment of the production of the An-140, An-100 aircraft in Kazakhstan have been held for many years. I hope that cooperation in this field will be continued soon,” Yakovenko said. ASTANA. Oct 9 (Interfax-Ukraine) – Kazakh businessmen may take part in the privatization of Ukrainian enterprises, Ukrainian Deputy Prime Minister and Regional Development, Construction and Utilities Minister Hennadiy Zubko said. 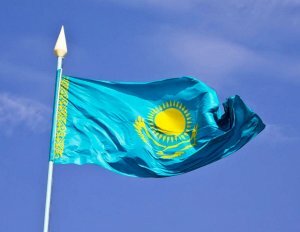 “Our task today is to create a Ukrainian-Kazakh business council, which should provide specific help and handle issues relating to the business of Ukrainian companies in Kazakhstan and Kazakh enterprises,” Zubko told a Kazakh-Ukrainian business forum in Astana on Friday. “In the same way, we want to see Kazakh companies in the privatization of Ukrainian enterprises. Because the reforms in the two countries are going virtually simultaneously. For this reason, we would like to move in the direction of increasing our countries’ economies while supporting each other,” Zubko said. Zubko said the arrival of Ukrainian President Petro Poroshenko in Kazakhstan and a meeting of businessmen at an economic business forum will help restart the relations between the two countries. KYIV. Oct 8 (Interfax-Ukraine) – Ukraine and Germany plan to sign an agreement on the creation of the German-Ukrainian Chamber of Commerce and Industry during a business forum in Berlin on October 23, Ukrainian Prime Minister Arseniy Yatseniuk has said. “The German-Ukrainian Chamber of Commerce and Industry is a body that would allow German and Ukrainian businesses to invest [in Ukraine], create jobs, and move towards the modernization of the Ukrainian economy,” he said while opening a cabinet meeting in Kyiv on Wednesday. 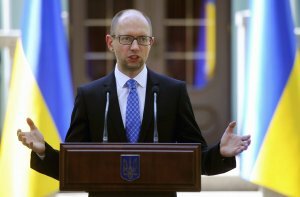 He said that the chamber would trigger the development of Ukrainian-German economic relations. Yatseniuk said that on October 23, an investment forum will take place in Germany. German Chancellor Angela Merkel, as well as representatives of Ukrainian and German businesses will participate in the forum. He said that Ukraine and Germany have signed a package of economic and financial support worth EUR 500 million. KYIV. 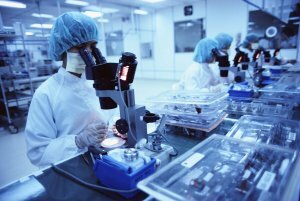 Oct 8 (Interfax-Ukraine) – Swiss pharmaceutical company Acino plans to invest in production of new pharmaceutical products in Ukraine, build up the staff of Pharma Start company, which Acino has acquired and integrating into the company’s production facilities in the quality audit system. “I cannot say how much investment and when we plan, but first, this will be investment in the development of the staff, investment to integrate in the quality audit system and investment in the development and production of new products that would be made in Ukraine. However, initially, this will be investment in people in order to integrate Pharma Start in the Acino family,” Acino Group CEO Jostein Davidsen told reporters in Kyiv on Wednesday. He did not disclose the sum of the deal, referring to the fact that the owners of Acino are two private equity funds. “One should understand that the cost of the deal is not linked to the market, but to the devaluation of the national currency,” he said. Davidsen said that the development plans in Ukraine include the introduction of new products to the market and development of the existing product range. “We have a wide product range and we have plans to invest in new and old products. We would add our own products to Pharma Start’s portfolio. I want to say that the portfolios of Pharma Start and Acino are very complimentary. They also produce medicine to treat heart, neurological diseases and over-the-counter drugs. We have two or three coinciding products,” he said. “We focus on generics which production is sophisticated and which could be taken once a day instead of three times a day and medicines with the novel drug delivery forms, in particular, plasters,” he said. Davidsen said that the company plans to invest to build up the structure to promote products in Central Asia and Belarus. “Today, there is a representative office in Uzbekistan and partnership agreements to export to Russia. We have some plans for non-CIS countries, but this is medium- and long-term outlook,” he said. Commenting on the acquisition of Pharma Start in Ukraine, he said that the company was bought as a part of the development strategy for quickly developing markets. This would allow the company to more than triple turnover in five years, to EUR 1 billion. “The largest part of the company’s growth will be via mergers and acquisitions. In December 2014, we bought a small company in Russia Copharm, and the second acquisition is Pharma Start in Ukraine. We’re designing projects and looking for other mergers and acquisitions both on the CIS and in the Middle East, South Africa and the central part of South America,” he said. “We will invest in Pharma Start’s business. Our goal is to enter top ten for sure and maybe top five of the largest companies in Ukraine in the coming five years,” he said. He said that international pharmaceutical manufacturers are careful in acquiring assets in Ukraine or Russia. “We don’t rule out that there will be more merger and acquisition projects on the pharmaceutical market in Ukraine. Despite everything that was happening in Ukraine recently, crisis, political and economic instability, Ukraine is the market with a very good potential in the long-term outlook,” he said. “We know that there are some risks when you buy a company in the politically and economically instable country. These risks are to be calculated. Despite this, we hope that in the future we will see growth from quickly developing markets. However, recently due to the outflow of money from these markets, the slow is seen. Today there are few companies which are ready to invest and build something, while before late 2013, everyone wanted to invest in Ukraine, Russia and the CIS,” he said. Acino, a Swiss pharmaceutical company headquartered in Aesch, Switzerland, develops, manufactures well-proven and innovative pharmaceuticals in novel drug delivery forms. Acino is a leader in advanced drug delivery technologies with a focus on modified release oral forms, oral dispersible forms, transdermal systems and extended release parenterals, for which it also holds patents.